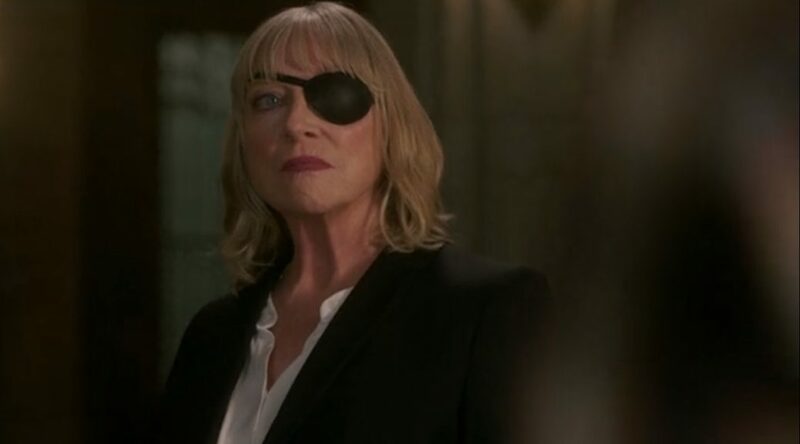 Here are all my live recaps and reviews, from here and from Innsmouth Free Press, in one, handy-dandy spot, for Season 9. I will add to them as I go along until the season is complete, then compile them in a Codex. Since I’m doing this on my own time, the more donations I get on Patreon or Ko-Fi, the faster I can do the recaps and reviews. 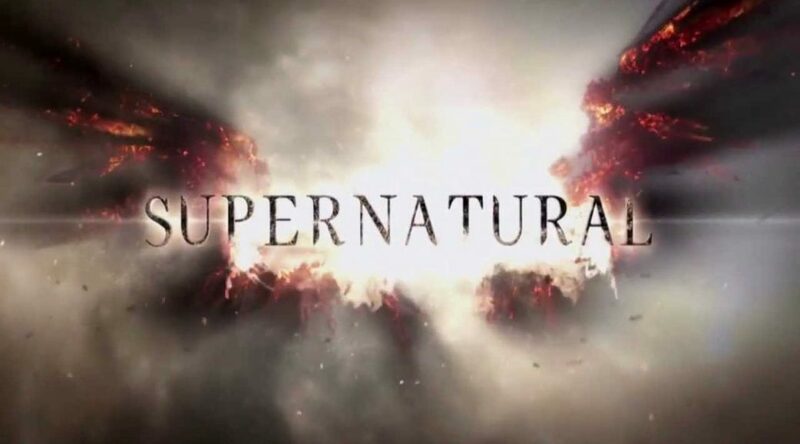 Column: Gods and Monsters: Recap and Review: Supernatural 9.23 (Season Finale): Do You Believe in Miracles? Recap of Lily Sunder’s story, as well as one of Jack’s predicament so far. Cut to Now and a closeup of Dean looking devastated. He’s in Jack’s room with Sam and Castiel, who are looking after Jack. Jack says that maybe his early death was “meant to be” and Dean gets even more upset, going out into the hallway. Even though Jack tells Sam to tell Dean “it’s okay,” Castiel goes after Dean and insists he come back in because Chuck forbid anybody take any emotional breaks or anything. I see Castiel’s back to his usual “Berate Dean” form. Dean does return, but even though it’s only been a minute or so, Jack has died. Sam announces it and we get a closeup of Dean that looks … determined. Outside, Castiel talks about “making arrangements” and Dean says that a wake and a “Hunter’s bonfire.” When Sam walks off, Castiel wants to go after him, but Dean tells Castiel to let Sam be. Sam packs a bag and takes off, while Dean leaves a voicemail for Mary and Castiel moons about Jack’s room. Castiel sees Sam leave, but, per Dean’s instructions, doesn’t stop him. Dean is upset, since he didn’t mean to let Sam leave the Bunker. They follow Sam, who has left in the Impala, and find him sitting next to Baby. Dean at first thinks Sam made a deal. In a flashback, Sam says he was trying to chop down trees to build a pyre. Sam admits that he feels utterly inadequate. Dean and Castiel reassure him that he’s not. Castiel claims that Jack’s death doesn’t feel “natural.” Oh, Castiel, honey, since when has anything about Jack been natural? Sam asks what they should do. Dean suggests a wake (i.e., a heavy-duty drinking and reminiscing session montage about Jack set to The Allman Brothers Band’s “Please Call Home”), so that’s what they do. Sam bows out first and then Castiel. As Castiel leaves, Dean asks, “We did all we could, right?” Castiel doesn’t even pause, just walks out. Dean pours himself another drink, and toasts Jack (wondering where he is, because there was some debate due to his Naphil status), but looks thoughtful. Cut to Jack by the Impala on a bright, sunny day, eating a burger. He’s with the Brothers and Castiel, and Dean is outlining a hunt they’re on (while he and Sam bicker). But in the middle of teaching Jack how to read a map, Dean starts to glitch and the sun appears to blink. Jack is in heaven, but something is seriously wrong. Jack walks out into the boring white corridor that has become the Heaven set (I really miss the night road version of the Axis Mundi, just saying). Everything is flickering. And then he gets chased by a black goo monster. Remember the Leviathans or the Empty Entity? Like that. Dean wakes to a terrible hangover (Ackles sure milks that stuff) and voices in the other room. Sam and Castiel are talking to a woman with a black eyepatch. An older woman. Remember Lily Sunder from season 12? Her. Only, played by a different actress because, as Dean crassly tells her, “You got old.” As in, very quickly. So, in other words, they recast her. I’m okay with this because I will take Veronica Cartwright (who played a witch-hater in both The Witches of Eastwick and late, lamented Eastwick the series) over Alicia Witt any day. Maybe Witt wasn’t available. Or maybe they wanted to change up the character’s look. So, Sam got the idea sometime during the wake the night before to call Lily and see if she could help with deciphering Kevin Tran’s notes from the Angel Tablet. The idea is that maybe they can find a way to bring Jack back (since he’s half-angel). The Angel Tablet, as we know, was broken along with Dean’s human life at the end of season nine. Kevin had transcribed the entire thing but into incomprehensible scribbles that only a Prophet could understand. And (as Dean points into in an understandable rant about Lily not exactly being their friend due to having tried to murder Castiel during their previous encounter when she was seeking revenge for her daughter) Donatello is obviously not going to be any help in his current state. Lily suggests that she could use her knowledge of angels to decipher the tablet, which is why Sam called her. Unfortunately, it turns out she can’t. “Well, thanks for stopping by,” Dean snarks. Nope, Dean doesn’t ever hold grudges forever, or anything. Lily says she has a second plan. She can use her magic to resurrect Jack. Her magic draws on the human soul (and she only has a tiny sliver of hers left). If they can find a way to resurrect Jack, Jack can say a spell that will use a very small part of his soul to keep his body alive. Dean doesn’t like it, but Sam is for it and Castiel says that if he can find Jack in Heaven, he can pull his soul back down long enough for Jack to revive and say the spell. But Dean is suspicious of Lily and calls her out on her motives. She admits she has a price. After killing “a lot” of angels (funny, I only recall two), she’s pretty certain she’s bound for Hell. She wants to change her destination. Dean wonders how they’re going to make that happen. Summon Death? Billie’s not liable to be too helpful. Castiel gives up a new piece of information on How Things Work in the SPNverse – Death and her Reapers don’t decide who goes where. Since Chuck left, that job belongs to Anubis. As per Egyptian mythology, Anubis weighs a soul against a feather on his scales to decide where it goes after death. Sam points out that in the mythology, Osiris was supposed to do that. Dean adds that they already met Osiris (and Sam put Osiris in a coma for the next few centuries) in “Defending Your Life” in season seven. Castiel handwaves this by saying that Heaven “passed over” Osiris as their new soul judge for some unknown reason in favor of his son Anubis. Though a pagan god, Anubis doesn’t work for Heaven. He works with Heaven. So, they decide to summon Anubis and force him to change Lily’s fate. Lily is surprised at their sang-froid, but Dean says they’ve summoned gods before (and killed them). Dean is not actually thrilled by this plan, having issues with the idea of Jack drawing on his own soul for power and also not finding Lily the least bit trustworthy. Sam says it’s worth it if it saves life. Okay, let’s stop the presses for a sec, here. Everyone involved in this appears to be under the impression that Jack is in Heaven, even though they weren’t sure before. If Jack were in the Empty, I could understand the desperate desire to bring him back, even if it’s still an incredibly dangerous thing to do. But as far as they know at that moment in the episode, Jack is in Heaven and effectively enjoying Paradise. So, why are they dragging him back down to earth to have him live on his own vampirized soul again? I’m with Dean – that’s a bit creepy. Anyhoo, the plot is at that moment conveniently turning in favor of making this moral dilemma irrelevant because Jack has entered his mother’s heaven (she starts off as a little girl playing ball with her dog). At first, Kelly is thrilled to see him, until he explains to her that she’s in Heaven, which means that they’re both dead. Dean is drawing the trap when Lily hands Sam her angel grimoire (“the instruction manual”). On the pretense of getting some last-minute items, Sam leaves the room with an unspoken signal to Dean to go apologize to her. Dean sort of does this, but then takes the opportunity to call her out on her motives. Dean astutely notes that she has intentionally stopped using her magic, is allowing herself to get old and die, even though she fears Hell. Lily admits that when she swore to kill Ishim, she was fine with using up her entire soul to do so. But as it turns out, she was left with a final “sliver … a whisper” of soul. She knows that her daughter May is in Heaven and desperately wants to be reunited with her if she has any soul of her own left. In Heaven, Castiel is looking for Jack, and finds piles of goo and dead angels. Well, one dead angel, Azuriel. Duma wakes up and tells him they were attacked by the black goo, but she remembers nothing else. Castiel tells her he has to find Jack, but she’s afraid to be left behind. They go to Jack’s Heaven together, finding the scene Jack left when he exited his Heaven, sans characters. Naomi shows up and identifies their enemy as the Empty Entity. It’s the one that has flung open all of Heaven’s doors (even the ones Metatron had closed) and left them vulnerable, able only to send out a distress signal on Angel Radio. It’s seeking Jack, perhaps because Jack is half-angel. Naomi insists they have to give Jack to the EE (she also calls it The Shadow) to appease it, but as she does so (and Castiel says no), she is attacked from within by the EE and overtaken. There’s a wee retcon here. Naomi says that Heaven has “46,750,000,000” human souls, but in season five’s “Dark Side of the Moon” (which Dabb co-wrote, so you’d think he’d remember), Ash claims there are about 100 billion. So, which is it, Show? That’s a pretty large discrepancy. Back on earth, Dean is lighting candles while Sam is saying a spell in Ancient Egyptian (sounds like, anyway) and Lily is cutting her hand to let blood drip inside the circle. Anubis appears suddenly, without fuss, inside the circle with a briefcase. Anubis is … okay, I was disappointed by Osiris, who was a bit of a nutcase (apparently, Adam Glass didn’t like writing him, so that would explain why that episode sucked). But I like Anubis. Sean Amsing balances him just right (which is appropriate, all things considered). He’s impressed to meet the Winchesters, finally, saying he usually operates behind the scenes and allows Death and the Reapers to do all the face time, so he’s never met the Brothers, even though he’s weighed their souls many times. When Dean snarks at him, Anubis finds this charming (“just as advertised”) rather than insulting. He calmly asks why he’s there and Lily steps forward. At first, Anubis hesitates, calling her request “unorthodox,” but figures that since he’s already there, he might as well grant it. He pulls out an abacus (amused at Sam’s confusion) and takes her hand. The abacus has black and white beads that zip up and down. When they settle, there are a few white beads at the top, but most are black and at the bottom. Anubis sadly tells her he’s sorry. She’s going to Hell. At first, the Brothers threaten to keep him in the circle (he can be imprisoned in a ring of palm oil) or even kill him if he doesn’t change Lily’s fate. Dean even notes that God could make an exception. Anubis says that’s not the way it works. Humans make their own fates depending on their own actions on earth, summed up at the moment of death. No one can change her fate save Lily herself and if the Brothers try to keep him there or even try to kill him, the only thing they’d accomplish is possibly changing their own fates (i.e., that their actions would be unheroic). Reluctantly, Sam gives in and lets Anubis leave. In Heaven, Castiel and Duma are walking through Kelly’s colorful garden. Castiel is sure Jack is there, in his mother’s heaven. Jack and Kelly are inside a house. Jack is peering out the front door, telling her that if an attack comes through it, he will distract whatever it is so she can run. Kelly just tells him she’s not running. Jack is surprised when he hears Castiel’s voice and greets him warmly (but Castiel is an angel; why is Jack surprised that Castiel could find him in Heaven?). Castiel apologizes to Kelly, who tells him he has nothing to apologize for. Castiel explains that he and the Brothers have found a way to bring Jack home, and the cost of the small piece of his soul. But Castiel also adds that the EE is looking for Jack in Heaven. If he leaves Heaven and goes back to earth, it will stop attacking Heaven. Castiel explains the EE is looking for Jack because he’s half-angel. Duma then shows up and it turns out (yeah, shock-twist, not so much) that she is still possessed by the EE and now the EE knows Castiel’s plan. Oops. In tears, Lily wants to bail, even though Sam begs her and says that Jack is their son. Dean is more cutting, using her previous confession against her, saying she must have so little soul left that she is not even human, because no one with a human soul who had gone through what she did with her daughter would do this to them. Lily glares at Dean hard enough to peel paint off the Impala, but she comes back. They set things up with Jack’s body and she starts chanting the spell. Upstairs, EE/Duma kicks Castiel and Kelly around a bit, then starts to take Jack. 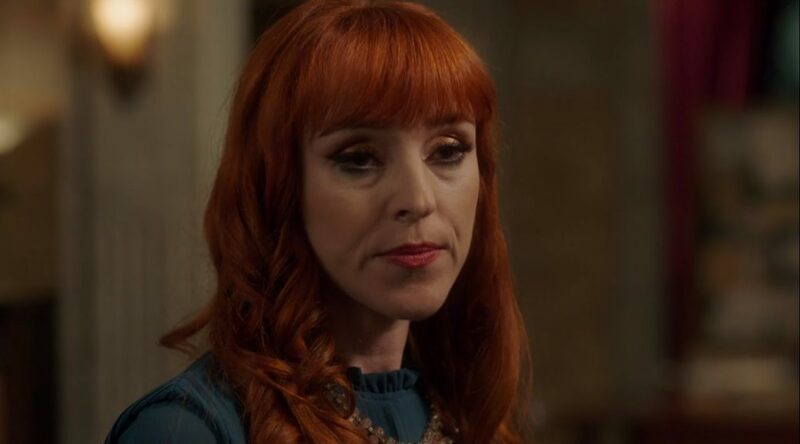 EE is apparently upset, still, about being woken up and dearly wants to see Castiel “suffer.” EE/Duma also sneers to Jack that the Empty is worse even than Hell because it’s “nothing.” Except that the EE was quite happy before it woke up, so how would it feel that way? I guess the EE will be waiting a long time, then. Castiel agrees to the deal and the EE releases Duma, blasting up into a ceiling vent. Duma wakes up, confused, and Jack is upset about Castiel’s sacrifice. Castiel says that Sam and Dean are trying to bring him back right at that moment and that Castiel owed it to Kelly to save Jack. He also begs Jack not to tell them about the deal they made. Jack agrees, because secreth and lieth have always gone so well on this show. Jack says goodbye to Kelly, who says she will be waiting for him. Castiel puts his hands on the side’s of Jack’s face, which glows, and the Jack wakes up on the table in the Bunker (as Lily stops chanting and starts in surprise), deathly pale and coughing, but breathing. Sam quickly hands him the spell to heal himself, which Jack does with much hacking and choking. His eyes glow briefly and he asks in wonder if that is his soul. Dean asks him how he feels and Jack realizes he’s healed. Dean hugs him and Sam manfully squeezes his arm. In the background, Lily has been clutching her chest and backing away from the table. She sits down offscreen in a chair. When Dean turns to her to thank her (Sam does, as well), she is lying dead in the chair. The spell took the last bit of life out of her. Lily finds herself in Anubis’ office, which is a 40s noir style set-up in a clock tower (pretty cool design). Confused, Lily asks what she’s doing there. In response, he pulls out his abacus and takes her hand again. This time, most of the white beads end up at the top. In Heaven, as Castiel is exiting Kelly’s, he encounters Naomi. Naomi thanks him for saving the angels, even if he didn’t make his sacrifice for them. As a “reward,” she offers him what the angels know about alt-Michael’s location. Downstairs, Jack is enjoying a burger (no doubt made by Dean) with the Brothers and Castiel. Dean tells Jack that Castiel got intel on alt-Michael. Castiel says they still don’t know where EVOL!Kaia is, or her Spork (though I’m guessing it’s with her), but they’re one step closer. 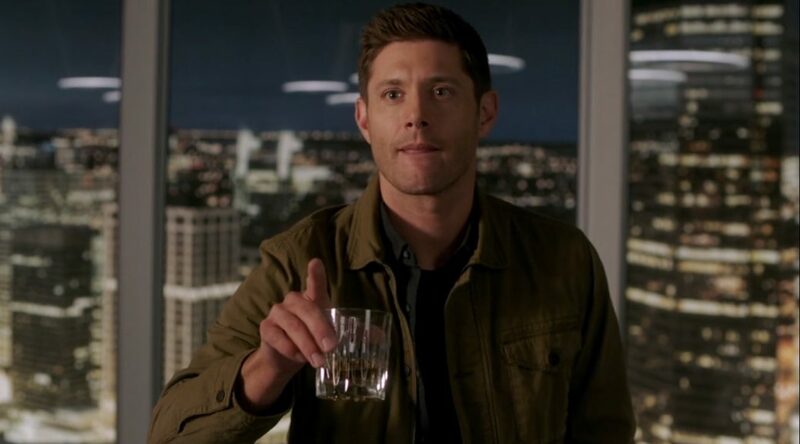 Dean calls a clink of glasses over the prospect of taking down Michael once and for all. Ratings went up a bit this week on this one, which is somewhat unusual for December (Christmas ratings for non-holiday shows tend to be dire). Perhaps fans wanted to know what happened to Jack. The show got a 0.5/2 and 1.53 million, which put it in second for the week on the network in both demo (tied with Arrow) and audience. 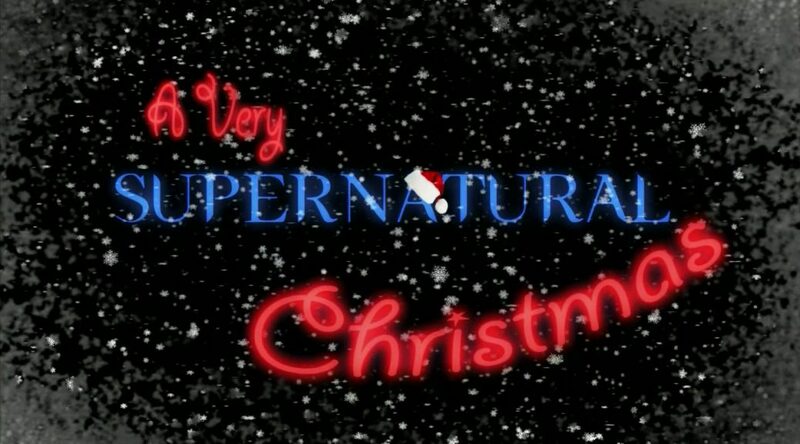 The promo for next week (which is the Christmas finale) is up. This will be the last episode until January 17. Since the show is only 20 episodes long this year and so far, they’re going with the usual number and spacing, it appears that we will have some looooonnnnger than usual mini-hellati in spring. They’re basically stretching 11 episodes out over 4 months. I’ll be doing some catching up with older seasons during those lacunae. So, the review. This episode obviously wasn’t going to kill off Jack (though, for a bit, they teased that it might turn out the way things did for Bobby in season seven, which would have been awful), but in order for it to have the necessary emotional weight, someone recurring needed to get thrown under the bus. Castiel’s not going anywhere, either, but his deal will throw the usual spanner into the works when the time comes. And the time may come sooner than later (albeit I still think everyone else was distracted, with reason, by the horrific shiny of Jack’s illness from the fact that Dean is definitely not okay – with potentially cosmic consequences). Depends on where they go with the Michael storyline, which they finally revived this week, and how fast. I can’t decide if the EE will be the Big Bad for this season, with alt-Michael reluctantly recruited to fight it, or will be reserved for another season (yes, people, there will be another season – did you see those ratings?). Since none of the regulars was going anywhere, the return of a guest star was required. Well, we technically got more than one, though Kelly didn’t leave Heaven. And while Duma and Naomi’s exits were teased, Heaven only lost one redshirt angel (sorry, Azuriel, or whatever your name was!). So, hello again, Lily; goodbye, Lily. Initially, I was perfectly okay with this. I found Lily Sunder mighty unsympathetic in her first appearance. Not only was she up against Ian Tracey’s Ishim (yes, I know Ishim was whackadoo and jealous of Dean’s friendship with Castiel, but it was Ian Tracey. Sue me), but she was played by Alicia Witt. I’ve noted in the past that I’m not a huge fan of Witt. I fact, I just realized she’s actually been irritating me since the 1980s, as she played my favorite character not very well in David Lynch’s version of Dune. Yeah, she was a kid back then, so it wasn’t her fault, but she isn’t now. But I liked Cartwright. She brought a twilight sadness and guilt to Lily Sunder that the character needed to hook us into her story arc. We still had the foundation of a frenemy we had met before as an enemy, whom the Brothers (well … Sam) called in desperation, but with more emotional pain and less angry snark. Lily wasn’t just a sacrificial character the show threw under the bus to give Jack’s resurrection emotional weight. She was a character whose ending had been left undetermined in the previous episode. There was still a story to tell about/for her and the episode did a pretty decent job of doing so. Yeah, a lot was packed in, but Lily’s journey was never ignored or given short shrift. Her decision was pivotal for the episode, but made perfect sense for her. Anubis was right – only Lily could change her own fate. The thing was that Lily was a very selfish character in her first appearance. One understands the concept of revenge. The entire reason the Brothers are so powerful in the first place is because of their familial quest for revenge for their murdered family. We hear a lot of demons and monsters and angels and gods make snarky references to the Winchesters’ violating the Natural Order, but the Natural Order destroyed their family, for generations, made them products of a eugenics program going back possibly billions of years, caused them untold misery. Why would they feel any loyalty to that? Excuse me, but the sheep get to fight back. But the Brothers have always had the Family Business motto to project that mission outside themselves. It’s always been about more than just their needs. Though John gradually lost his way, he also saved a lot of people. And though Sam could be a lot more selfish than Dean (and Dean could be downright violent, albeit otherwise the most altruistic Winchester), Sam has always perceived saving others as a way to redeem the darkness he feels inside him. And, of course, there’s Mary, who could never quite stop hunting because there would always be innocents needing help. Lily, on the other hand, didn’t care if innocents got hurt on her mission. She had no empathy for the vessels the angels she killed inhabited. Just collateral damage, as far as she was concerned. She couldn’t care less that Ishim was about to kill Dean. To her, that was just a convenient way to stall Ishim until she could get to him and kill him. She even got herself into her original predicament by summoning Ishim and messing with forces she didn’t fully understand. Yes, she loved her daughter, but she then used May (and May’s death) as an excuse to become darker and darker over time. In Lily’s case, her use of her soul to fuel her power was really a metaphor for her gradual loss of humanity over time. And it made sense that Dean would be the one to call her out on it. Sam gets moral tunnel-vision and often is willing to work with some shady people, doing shady things, without looking hard enough into what’s going on (this goes all the way back to, oh, “Faith”). I especially wasn’t too thrilled by how Sam brushed off the realization that Jack was in Heaven and that they would be yanking him back down to earth if they resurrected him, having him power his body with his own soul just to survive. Dean doesn’t buy into that as much. Dean wants to know the hidden moral cost before he plays the game (and Dean was the one who questioned the soul battery idea for Jack). Sam had the idea of calling Lily but it was Dean who knew how to find her true motivation and bring it out. So, Lily desperately needed redemption. The fact that there were any white beads in her favor the first time shows that she did manage to do some good, and that allowing herself to age and die was a promising start. But she needed something else, something where she set aside her selfishness for good and all. That involved sacrificing her life to save Jack. By giving Lily a real story of her own, the episode made it possible for her sacrifice to anchor Jack’s return. A life for a life, but in Lily’s case, sacrificing herself is exactly what her story needed to end well. I also liked Anubis. This felt like a do-over of the botched Osiris story in season seven and even of Kripke’s original idea of gods as just human-eating monsters. Anubis was not a monster. Nor was he an angel. He was an actual pagan god but a benign one. Don’t think we’ve ever had that before. Yeah, it was sort of a retcon that basically ignored the Fates (“My Heart Will Go On”) and previous pagan god lore, but I’m okay with that. I didn’t like the Fates, anyway. Plus, the idea that all pagan gods were evil and dependent on the power of their worshipers (especially the whole “Hammer of the Gods” massacre) never sat well with me. And yes, I’ve read American Gods, and no, I didn’t like it. I felt it was disrespectful toward pagan religious systems (aside from being overlong and hideously boring at times). Anubis has a place in the SPNverse, a critical place. He has basically replaced Chuck as the person who decides where human souls go when they die. Except that he doesn’t decide – the humans do. That was the twist. Anubis is just the psychopomp. I also liked the way the actor played him. Anubis wasn’t going to put up with any crap, but at the same time, he understood the emotional stakes (fitting for a god who weighs human souls against a feather) and was willing to cooperate as far as he could. He wasn’t mean. He wasn’t cruel. He felt compassion for Lily, even though he hardly ever had interactions with humans. He didn’t so much as balk at giving Lily a final accounting (after all, he did say that he normally only did it at a person’s death) or congratulating her when it turned out well. If anything, Anubis is a much nicer and kinder god than Chuck. Go figure.